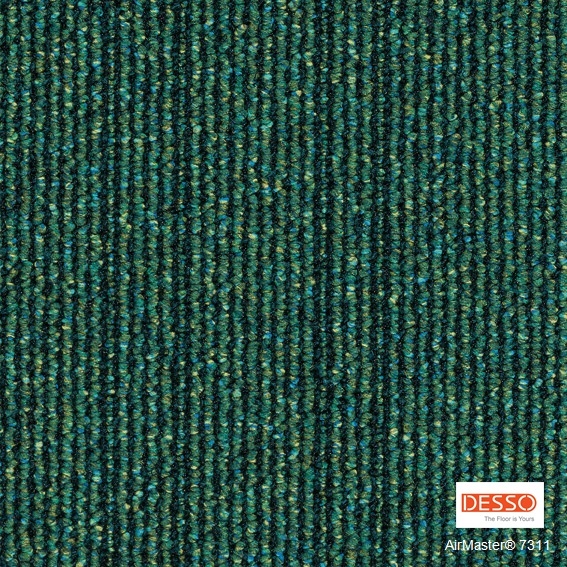 Desso Airmaster Tile, Heavy Duty Contract Carpet Tile 10 Year Guarantee. Innovative low level loop carpet that takes design and functionality to the next level. It's patented technology is capable to remove fine dust from the air more effectively then any other flooring solution. DESSO AirMaster® comes in 24 atmospheric colours offering a range of possibilities to make combinations and define specific areas or zones in a room or a building.